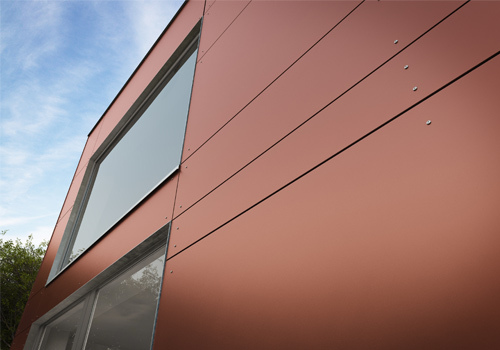 Clients depend on our fibre cement boards for exterior and interior cladding solutions. Our fiber cement boards are also valued for their use as load bearing floors since they are stronger than traditional boards. Clients can opt to have the boards coated with a transparent UV coating in order to make them last during the lifetime of their respective structures. The additional treatment also reduces the rate of absorption which makes it easier to clean the boards of grime and graffiti. – Suitable for use in hygienic environments such as food storage. – Our products go through a hydration process, which makes them concrete like strong yet lighter weight. Fibre cement boards from CLADME are designed to be lightweight which allows for easy transportation and handling onsite. Larger panels can be made self-supporting thereby providing excellent method of cladding large areas. Other properties such a porous texture make our wall panels suitable for structures that are based in areas with high humidity. Other sizes available upon request.For boards with a min. thickness of 15mm, we can offer hidden fixing to the substructure.Please contact us for further information.